St Peter’s Cathedral has stood on the top of the Cathedral Hill, known as Pukerangiora in Maori, for nearly 100 years. 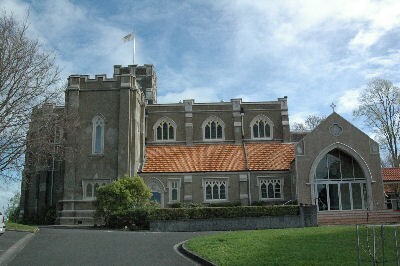 It is the fourth Anglican church on this site and serves as the cathedral church for the Bishop and Diocese of Waikato. The Diocese is one of seven in Aotearoa/New Zealand which are part of the worldwide Anglican Communion. We are an inclusive church welcoming people of all ages, cultures and backgrounds. We believe that God’s love in boundless and embraces all humanity and we should try to do the same. We value traditional worship styles as reflected in our 9.45am Sung Eucharist on Sunday morning as well as encouraging more modern and less formal worship such as our Informal Eucharist at 11.30am. Hallelujah! It's a Sing-in Messiah!